Quality of building materials and maintenance problemssubmitted by Ahmed E. - Oct 26, 2018 |Recommended: YesIts nice,quiet and safe neighborhood nice apartment layout , its all good until something breaks and need maintenance its takes a long time to get fixed and some of the staff are surprisingly rude . The quality of the building material is definitely questionable the ceiling in my bedroom had a huge crack and almost fell down on my bed. Love the officesubmitted by Walter T. - Sep 18, 2018 |Recommended: YesYeah I've been here 10 years, I am so in love with everyone that works here right down to the maintenance guys to everyone that in the community... here is the community is like family, they are always happy for me and keep me going so I am really grateful to be here as a resident. The best place to live in Newarksubmitted by Marianela S. - Jun 18, 2018 |Recommended: YesManagement is friendly and helpful. Maintenance technicians and environmental services are also friendly, they are fast with repairs orders, and they keep the property clean and safe. The property is close and convenient to shopping and interstate 95. Nice Place to Livesubmitted by John B. - Apr 30, 2018 |Recommended: YesMostly Quiet but the walls are paper thin so if you get a bad neighbor you're screwed. Parking available regularly. Maint is quick and fast. Comfortable, clean, safe, secure, state-of-the-artsubmitted by Ahmed B. - Mar 20, 2018 |Recommended: YesThis was my first time ever renting an apartment. I was nervous and had no idea what I was doing. The staff treated me like their own cub, and helped guide my through the entire process. I could stay in my current apartment for a long time.  The best deal you can find at Liberty Pointe is a unit with brand new appliances, and your very own laundry machine and dryer. The kitchen sink has a food waste dispenser, which will help immensely with not accumulating compost and making a bad smell. The maintenance crew is quick to respond, and I have yet to experience a power outage. The one complaint I have is the heating unit, which can rumble for periods of time and make noise even when not in use. Great place to livesubmitted by Clarence C. - Jan 26, 2018 |Recommended: YesIt's a nice environment and quiet. Everyone's friendly. The maintenance guys do fix problems in a timely manner. The only problem is when drying clothes the smoke detector always goes off because it's right in front of it. Another than that it's right next to the stores and highway So it's very convenient. Liberty Ponte apartment reviewsubmitted by Rudolf C. - Aug 31, 2017 |Recommended: YesIn general, the apartment is well maintained with proper lighting in the parking lot, safe, quiet, prompt maintenance, courteous assistant manager and assistant.